Stock photo of a farmer with water buffalo working on Longji rice terraces in the mountains near Zhuang village of Ping An, Longsheng, Guangxi, China. 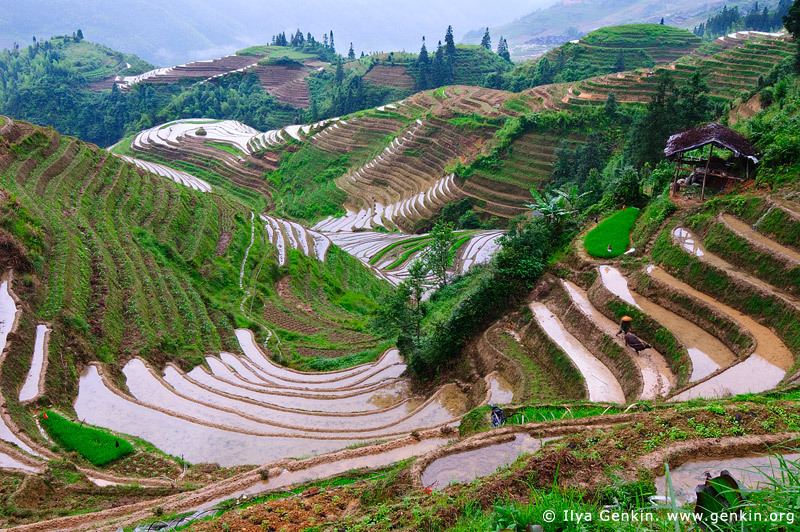 This image id CHINA-LONGSHENG-0003 of Longsheng (Longji) Rice Terraces, is copyrighted © by Ilya Genkin. This is not a public domain image.